Long before they met Gru, the little yellow minions were looking for a master to serve. Finding a master didn't seem too difficult, but keeping one was another story. After thousands of years and many masters, minions Kevin, Stuart and Bob are on the hunt for someone new to serve. 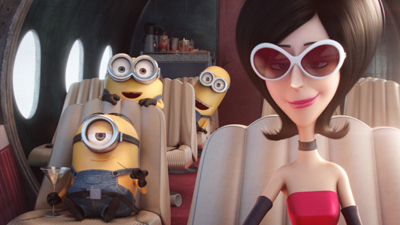 They meet the ruthless Scarlet Overkill (Sandra Bullock), but the new arrangement might mean the end of the minions. How well do you know Minions?